This entry was posted on Thursday, December 5th, 2013 at 11:31 am	and tagged with anthony ryan, blood song, epic fantasy, raven's shadow, tower lord and posted in Writing Stuff. You can follow any responses to this entry through the RSS 2.0 feed. Awesome cover! I’m trying to find a cover artist for my own epic fantasy. Would you recommend yours — easy to work with, etc? If so, maybe you can tell me how to find him/her? Thanks, and good luck! Hi Jack. The cover was produced by Orbit’s in-house design team so I doubt they’re available for commissions. For my Slab City Blues covers I hired James at humblenations.com if you want to check him out. He has a gallery of pre-made covers for sale or you can commission him for an original. Alternatively you might want to take a look at commissioning an artist via 99designs or dream-up, as ever in life though, you have to pay for quality. I’ve been trying to wait patiently for this book. I love Blood Song, I feel so lucky to have discovered it. 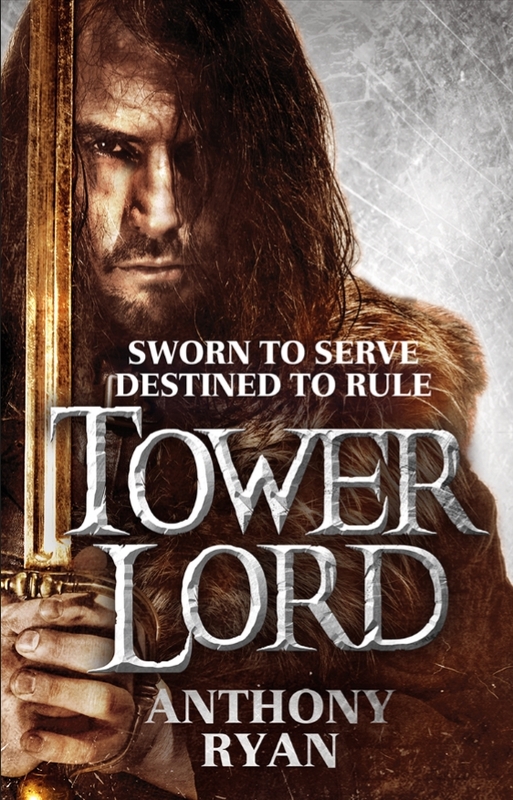 I’ve read it twice, and listened to it once in audiobook, and will read/listen to it again before Tower Lord comes out. You’re an awesome writer, your story and characters has lived on in my mind with such vividness. May I ask if you chose that character model on the TL UK cover, or if you had a say in it, at least? I guess what I’m curious about is if that’s how you see Vaelin? Hi Ailema, thanks for kind words. I get to consult on both the US and UK covers but the final decision rests with the publisher. In general, this boils down to having a say in the overall look though the choice of model is out of my hands (I did persuade them to change the swords for Blood Song though). In terms of my image of Vaelin, I tend to be pretty vague on that point, he’s never fully described in the book as I wanted readers to form their own ideas.